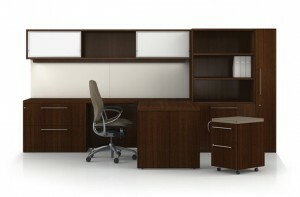 If you have a need for 50 desks to set-up a new branch for your corporation or just need a small student desk for your dorm room, you will likely find exactly what you need at Office Furniture Unlimited, and most importantly, you will save up to 80% over other suppliers of office furniture in North Carolina. Because Office Furniture Unlimited buys used office furniture in large quantities and offer to disassemble and pick-up office furniture, we are able to buy at far below market prices. And because we are able to buy so low, we pass these savings on to our customers. If you are setting up or refurbishing an office we will be able to deliver and set-up your office for you. The desks as well as the office chairs that we provide in our office furniture stores in Greensboro, near Winston-Salem, High Point, Burlington and Reidsville, NC are in excellent condition. No matter what finish or color you are looking for, we more than likely have it in stock. If you have a unique need, we can order it for you and will pass on our discount pricing to you. If you are in an area not included in the above lists, please contact us at (336) 854-2585 and more than likely we will be able to accomodate you. The workplace desks that we provide to our customers are top notch and are priced well below market prices. The executive office desks as well as the other office furniture that you will find in out furniture stores in Greensboro, near High Point and Winston-Salem, will help you create a productive and attractive work environment. Studies have shown that employee productivity can be directly related to their workspace. We can help you create an environment conducive to top quality productivity.